You likely find yourself typing the same word, phrase or sentences repeatedly throughout your day. 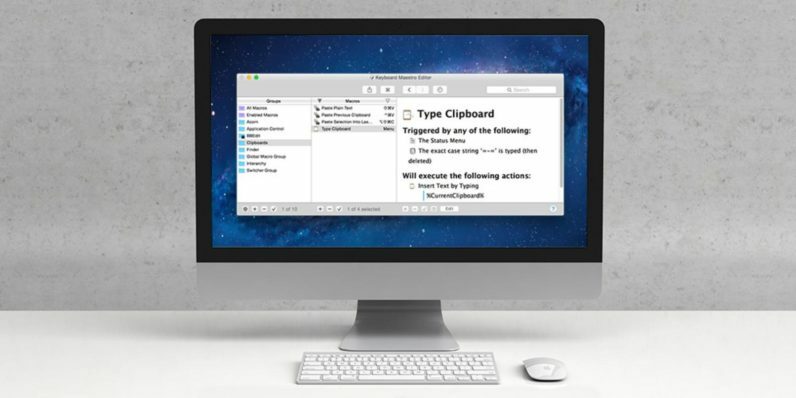 Automate those mindless tasks with Keyboard Maestro, an award-winning productivity tool. This handy app will save you considerable time and effort, and it’s now 44 percent off from TNW Deals. With Keyboard Maestro, you can create or record custom macro shortcuts to streamline your tasks. You’ll be able to assign various tasks to a single keystroke or keyword, with the option to autocomplete everything from words to entire paragraphs with a simple command. Using Keyboard Maestro’s editor window, you can create shortcuts to suit your specific needs. Each action is fitted with a Gear menu to enable, disable, rename, add notes, set colors, and more. You’ll also have the option to copy the action as text or an image for easier sharing. Want to keep track of which macros you use most? You can monitor your own activity with the Macro Inspector, to see which tasks consume the most time. Take advantage of Keyboard Maestro’s time-saving productivity option today, now just $19.99 on TNW Deals.